Home » Blu-Ray » “Foxcatcher” already has a release date, and it is soon! Barely out of the movie theaters, the celebrated movie Foxcatcher has already received a release date by Sony Pictures Home Entertainment, who will bring the movie to stores on Blu-Ray Disc and DVD in March, just one week after the Academy Awards. The dynamic between Schultz and du Pont deepens as Mark embraces his benefactor as a father figure. 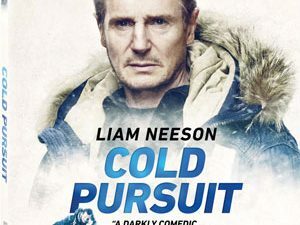 But du Pont’s mercurial personality and psychological gameplay begins to weigh heavily on Mark’s shaky self-esteem, undermining his abilities on the mat. When du Pont’s favoritism shifts to brother Dave — who possesses the authority and confidence both he and Mark lack — the trio is propelled towards a tragedy no one could have foreseen. The release will be surprisingly spartan and will contain only a few Deleted Scenes and the Making-Of Featurette “The Story of Foxcatcher” as bonus materials. 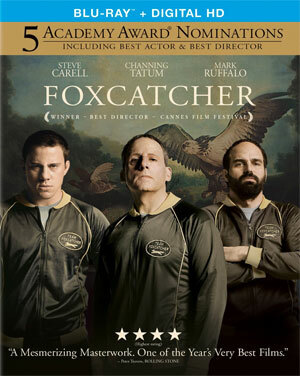 “Foxcatcher” will wrestle its way onto store shelves on March 3 for $34.99 on Blu-Ray Disc and $29.98 on DVD.